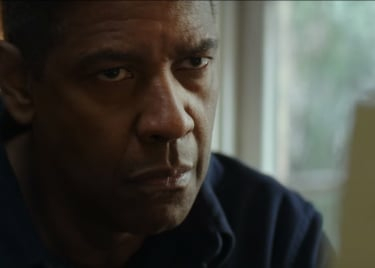 With over 40 years in the entertainment industry and two Oscars in hand, Denzel Washington is unquestionably one of Hollywood’s most talented and hardest-working performers. He found early success with roles in films like Cry Freedom, Glory and Malcolm X. As years went by, he continued to garner critical acclaim for his distinctively engaging performances. 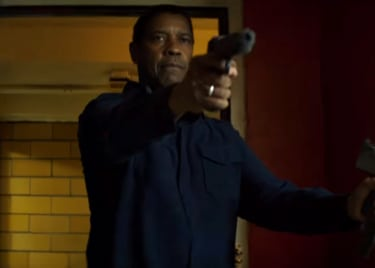 In 2014, Washington starred in Antoine Fuqua’s The Equalizer, an adaptation of the classic ’80s TV series of the same name. In the film, Washington played Robert McCall, a retired CIA agent who secretly used his fighting skills to defend the innocent. The movie was a minor hit, opening the door for a sequel. Washington returns to the role of Robert McCall for a dangerous new mission in The Equalizer 2, opening on July 20. The sequel, once again helmed by Fuqua, focuses on McCall as he goes on a quest to avenge the death of a close friend. With Washington coming back to theaters, let’s take a look at seven of his most remarkable performances. Denzel Washington delivers one of his most emotionally resonant performances this Civil War story. He plays Private Silas Trip, a young man recruited into the 54th Massachusetts Infantry Regiment, one of the first African-American regiments established during the Civil War. Initially insubordinate, Trip eventually accepts his role in the squad. Thanks to Washington, Trip is a rich, nuanced personality. Washington commands every scene he’s in, making Trip an unforgettable presence in the film. The actor garnered critical acclaim for his portrayal, and he was honored with an Academy Award for Best Supporting Actor. Following lauded performances in Cry Freedom and Glory, Washington challenged himself by playing one of the most polarizing civil rights leaders in Spike Lee’s Malcolm X. The biographical drama chronicles Malcolm X’s life and career as a human rights activist. Playing such a recognizable historical figure isn’t easy, but Washington makes the role his own. The actor successfully transforms into Malcolm X, bringing his distinct mannerisms and commanding charisma to life. Washington’s performance goes beyond successfully recreating the character’s signature traits. Above all, he humanizes Malcolm X by exploring the person behind the myth. The actor adds a subtle sense of frailty to his performance that shines through in some of the film’s more intimate moments, allowing audiences a glimpse into Malcolm X’s insecurities as he fought to achieve racial equality. Remember The Titans is based on the real-life story and success of the football team at T.C. Williams High School. Washington plays Herman Boone, who was tasked with training a ragtag group of football players into shape. Rising racial tension between his students and his own superiors don’t make things easy. Stuck in a divided environment, Boone is forced to find creative ways to bring his team together. Washington shines as Boone. While not as emotionally taxing as some of his most famous performances, the actor masterfully conveys Boone’s internal conflict as he fights to break the racial barriers separating the young men under his care. Washington also imbues Boone with a comforting earnestness and a charmingly sarcastic personality, two elements that elevate an already standout performance. Training Day gives Washington the opportunity to step into the shoes of a despicable man. The actor plays Alonzo Harris, a corrupt narcotics agent paired with an idealistic officer named Jake Hoyt, played by Ethan Hawke. Hoyt’s idealistic mindset slowly changes as he’s taken on a journey through the criminal underworld by Harris, who gradually reveals his vicious nature. Unlike Washington’s usual body of work, there’s not much nuance to Harris. He’s a complete psychopath with no interest in anything that isn’t money or power. The actor, however, uses that to his advantage. Washington embraces Harris’s extreme personality to deliver an electrifying performance. He is intimidating, manipulative and ruthless, a combination that makes him a genuinely terrifying antagonist. Washington brings to life a morally conflicted action hero in Man on Fire. He plays John Creasy, a former CIA operative hired to protect Pita Ramos (Dakota Fanning), the daughter of a Mexican businessman. Initially distant, Creasy eventually forges a strong father-daughter relationship with Pita. When the young girl is kidnapped, John takes it upon himself to rescue her. Washington avoids common action hero tropes by playing Creasy with a fascinating nuance. He complements Creasy’s ruthlessness with an inviting sense of warmth and kindness. Washington masterfully balances the character’s duality, treating his violent nature and kind spirit as two sides of the same coin. Through his performance, the actor establishes Creasy as a complex and fascinating protagonist. In Flight, Washington plays Whip Whitaker, an airline pilot with a substance abuse problem. One day, Whitaker performs a daring emergency landing during a routine commercial flight after the aircraft malfunctions. Whip is initially branded a hero, but things change when an investigation into the crash slowly exposes his addictions and irresponsible work practices. Washington delivers one of his most nuanced performances in Flight. He presents Whitaker as a broken man who hides his insecurities behind a false sense of confidence while also burying his fears in alcohol and drugs. Washington takes audiences on a gripping journey through Whitaker’s psyche as he battles his demons and struggles to acknowledge his problems. The ’50s-set Fences, based on August Wilson’s critically-acclaimed stage play of the same name, sees Washington as Troy Maxson, a waste collector living with his wife (Viola Davis) and their young son. Maxson is emotionally closed-off and abusive, which leads to a strained relationship with his family and a toxic home environment. Unlike most of Washington’s more recognizable roles, there are few (if any) redeemable qualities in Troy. He’s violent, irrational and extremely dominant. Still, Washington makes the character a captivating presence. There’s a tragic backstory to Maxson’s cruel demeanor and Washington takes advantage of it to craft a layered identity. The actor gradually pulls back Maxson’s apparent fearlessness to reveal a broken man dealing with the repercussions of a traumatic childhood and a life filled with struggles, offering a fascinating psychological exploration of the character. The Equalizer 2 will open in theaters on July 20.